Daily Adventures of the SAHM: Upgrading the finger paint canvas! 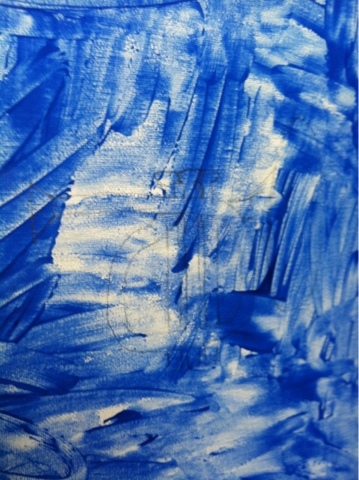 Upgrading the finger paint canvas! I wanted to have my daughter make a craft that was different but still simple and with longevity for my husband. 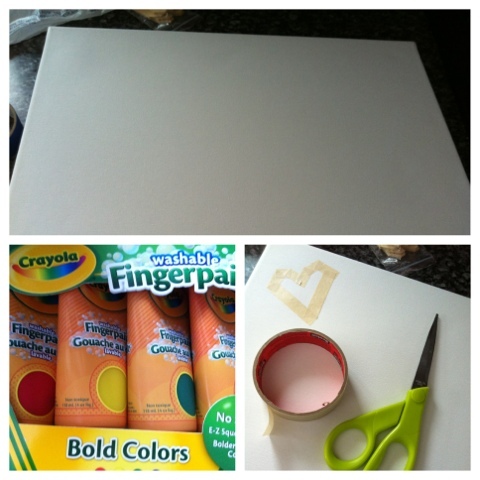 After seeing artwork completed by friends and their children, as well as various masking tape finger paint projects on Pinterest I decided we'd branch off the basics and incorporate a little creativity into our masterpiece. 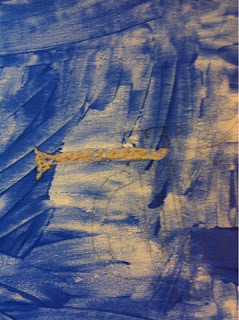 I taped off a little heart in the corner of our canvas and then let my kid get to work. 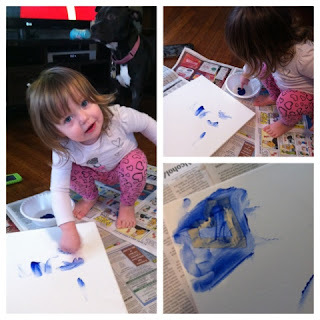 She didn't quite know what to think of it at first (and, yes, she tasted the paint. Not a big fan, luckily) so I had to get my hands dirty as well. Once our canvas was covered and the paint was dry (a few hours at most), I took my trusty #2 pencil and lightly sketched a cartoonish trumpet. It took several tries to even figure out how to draw said trumpet since I'm definitely not an artist, but you could always pick something simpler, print & cut it out, and just trace to get your shape. 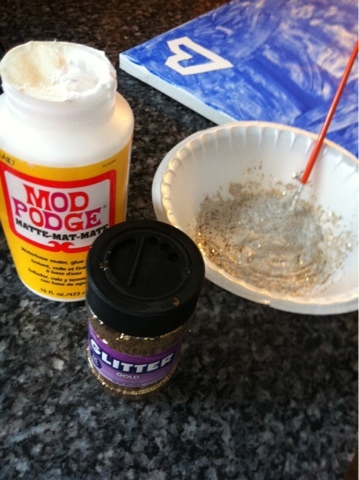 I then mixed a small amount of Modge Podge with a ton of loose glitter. Stir, stir, stir. Think you have enough glitter? Add a little bit more. 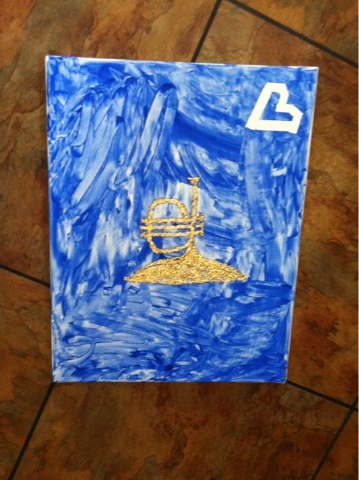 And then I simply started painting the glitter on! Don't worry, the Modge Podge dries clear and once it's dry you can always add another layer of your very own glitter paint! Emma woke from her nap while I was working so I held her hand and guided her to do some of the glitter-painting. It resulted in some... alterations to the original work (she totally screwed up the bell of the horn. Darn kids. When is a 2 year old going to learn to color inside the lines?! ), but it still turned out cute and different. 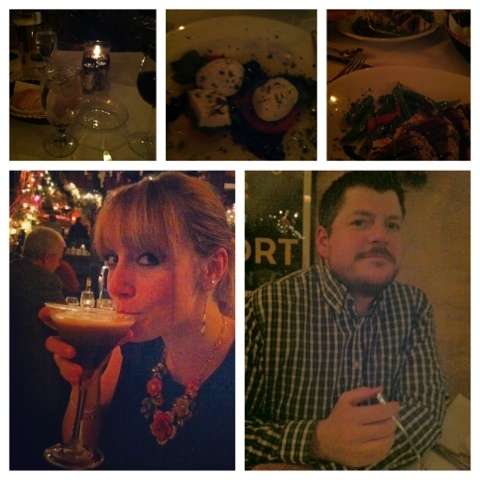 Yesterday was Valentine's Day, and my husband took me out for an amazing dinner at a nearby Italian seafood restaurant. Happy belated Valentine's, everyone! And to my schmoopy, I adore you. And lobster bisque, but mostly you.